Charles François Daubigny (1817-1878) was one of the most important French landscape paint of the nineteenth century. 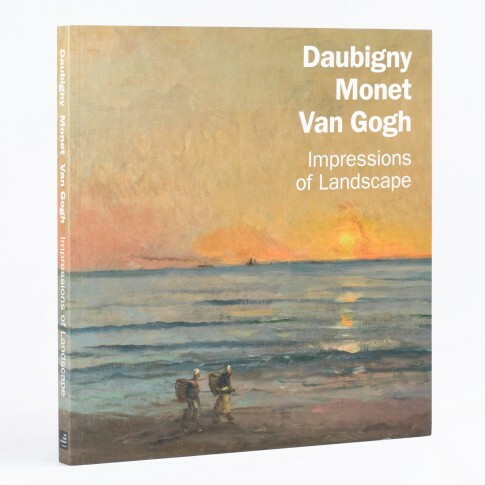 This book reassesses his work and examines his importance for the Impressionists, as well as Van Gogh. Daubigny helped to shape Impressionism through his working practice: routinely painting outdoors, often from his studio boat; exploring new subjects and unexpected viewpoints; and developing a radically 'unfinished' style and a brighter palette. He supported the Impressionists at the Paris Salons and introduced both Monet and Pissarro to the art dealer Paul Durand-Ruel. He moved towards a more subjective interpretation of nature in his later sunsets and nocturnes, inspiring not only Monet, but Vincent van Gogh, who spent the last two months his life close to Daubigny's home and of studio at Auvers-sur-Oise. These themes and others are explored through a series of essays that examine his interactions with the young Impressionists, the market response to his paintings, the evolution of his highly original technical processes and his role as the leader of an artists' colony. Paperback, available in English and Dutch.